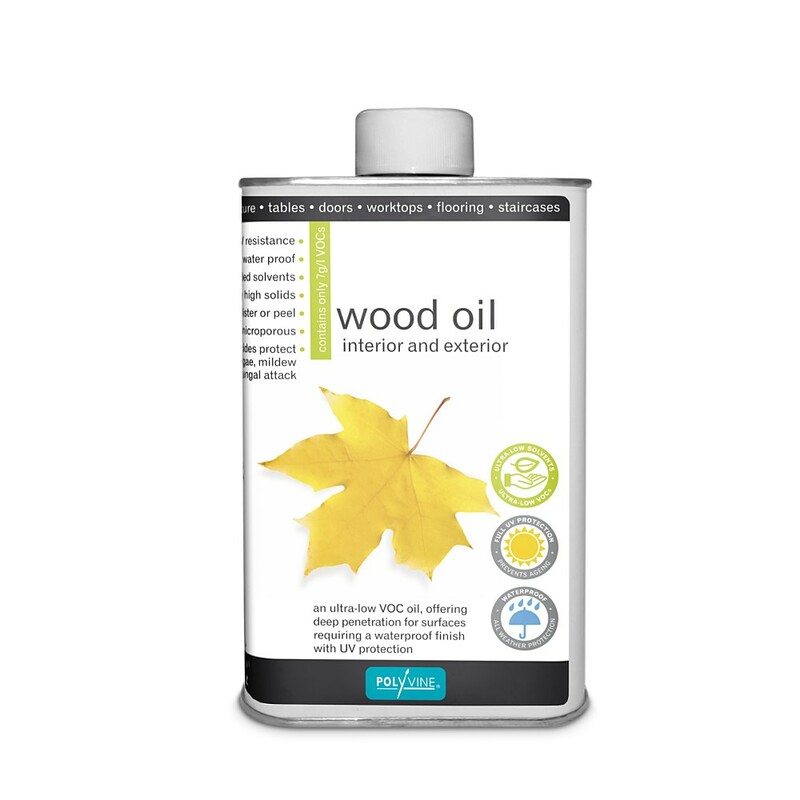 A unique, clear, UV resistant, microporous oil protection for exterior and interior wood that is ultra low in VOCs. A blend of resins and oils gives a silky sheen finish and highlights the natural grain of the wood and has no added solvents. It is suitable for exterior and interior softwood and hardwood timber applications, giving deep penetration for waterproofing and preservation. Polyvine Wood Oil is not a surface coating, its place is in the wood not on the surface. 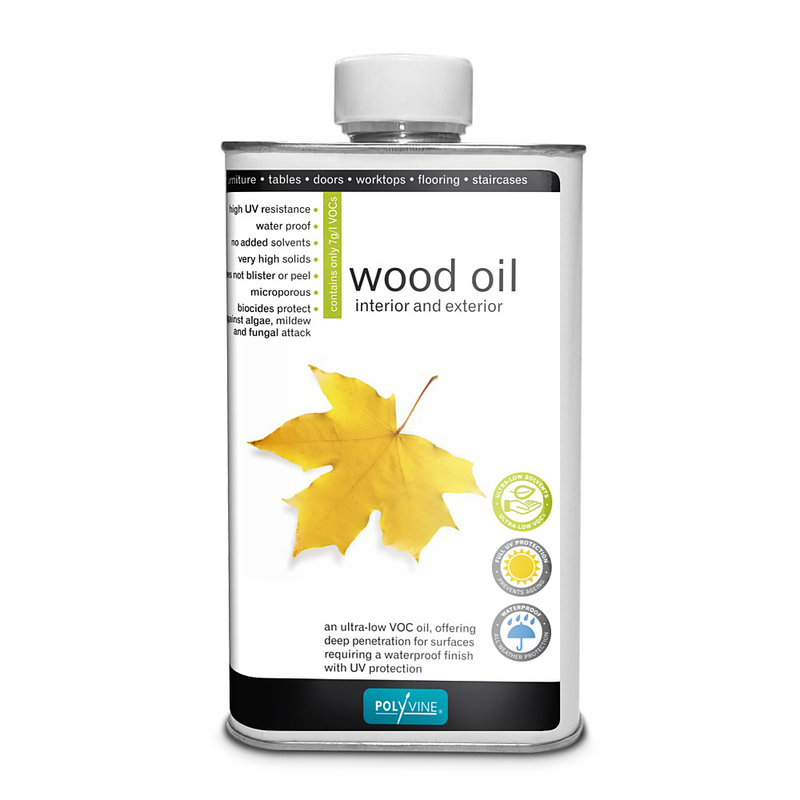 Wood Oil protects by penetrating the wood, providing a rich oil finish. Always apply to a test area before starting work. Do not apply when rain is imminent. Timbers containing high natural oils, e.g. Teak and Iroko, may inhibit drying and cause impaired adhesion. Wiping surface with methylated spirit will assist penetration. Application rollers, sponges and pads, or clothes soaked in this product, may spontaneously combust if left. Dispose of after soaking in water. Wear a suitable face mask if dry sanding.